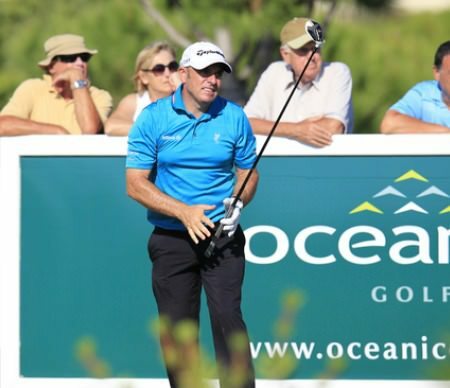 Paul McGinley eagles the 18th in yesterday’s third round. Picture Eoin Clarke/www.golffile.ieIreland can claim a fifth European Tour victory of the season in the KLM Open today but it’s hard to know which would be the bigger surprise - world No 568 Paul McGinley coming from two shots behind to win for the first time in six years or world No 4 Rory McIlroy overcoming a three-shot deficit to capture his fourth tournament win as a professional. When McIlroy broke through in Dubai in 2007 he led by two strokes with a round to go and won by one. In his second tour win at the PGA Tour’s Quail Hollow Championship last year, he was four behind Billy Mayfair but shot 62 and won by four from Phil Mickelson. At June’s US Open he led by eight with a round to go and won by eight. To say he’s improving would be an understatement. Yet while 17 top-5’s, 27 top-10s and two wins in 52 starts since September 2009 is evidence of incredible consistency, McIlroy must start to turn those top-5’s into victories if he is to achieve his goal of becoming world No 1. Thanks to a back nine of four under par 31, the stunningly talented 22-year old shot a two under 68 to go into the final round alone in eighth place, just three shots adrift of South Africa’s James Kingston and 44-year old Scot Gary Orr on seven under par. Those guys include world No 170 Kingston and world No 674 Orr, who lead by a shot from world No 149 David Lynn, whose lone tour win came on this course seven years ago. McGinley is tied for fourth, just two shots off the lead, with tour rookie Alexandre Kaleka of France. Both shot six under 64’s on Saturday but while the 24-year old Frenchman had six birdies on an immaculate card, McGinley’s round was arguably the more impressive. The 44-year old Dubliner, who skippers the GB&I Seve Trophy team in Paris next week, began with a bogey at the ninth but then played Hilversumsche’s back nine in seven under 28 by following five consecutive birdies from the 12th with an eagle three at the 18th. He then bogeyed the third and birdied the fourth before bouncing back from a double bogey six at the sixth with two birdies to finish. After taking just 25 putts - 17 on them for the 13 greens he hit in regulation - the 2014 Ryder Cup captaincy candidate, was understandably delighted. But he was also cautious about his chances of capturing a victory that would do his world ranking and his captaincy hopes, no end of good. 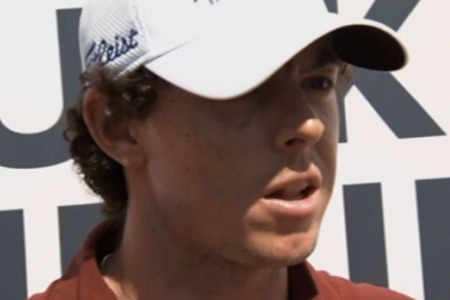 Rory McIlroy wants Paul McGinley in 2014 and Darren Clarke in 2016. Is it too soon to start handing the 2014 Ryder Cup captaincy to Darren Clarke? Maybe. Conor Ridge, Rory McIlroy and Caroline Wozniacki with reporter Karl MacGinty in Dubai. Photo Eoin Clarke/www.golffile.iePaul McGinley believes Rory McIlroy is only using his “C game” yet the world No 1 still managed to grab a share of the halfway lead in the DP World Tour Championship in Dubai. Rory McIlroy extended his lead as World No 1 to more than 4 points with his fifh win of the season in the DP World Tour Championship. Picture Stuart Adams www.golftourimages.comPaul McGinley claimed earlier in the week that Rory McIlroy was playing with his C game at times. But after watching the 23-year old phenomenon birdie the last five holes to card a 66 and go from one behind Justin Rose to win the DP World Tour Championship by two, the 2014 Ryder Cup captaincy candidate hailed it as a Tiger-esque performance from the world No 1. Rory McIlroy and Graeme McDowell will travel from the US Open to Carton House for the Irish Open next year after a high powered meeting of the Players’ Committee met on Wednesday night to discuss ways of boosting weak fields in the European Tour’s hour of need. The world can start spinning on its axis again. Rory McIlroy is most definitely back, Paul McGinley continues to be a superb golfer and Pádraig Harrington, despite a frustrating miss on the final green, is still capable of holing six foot putts.